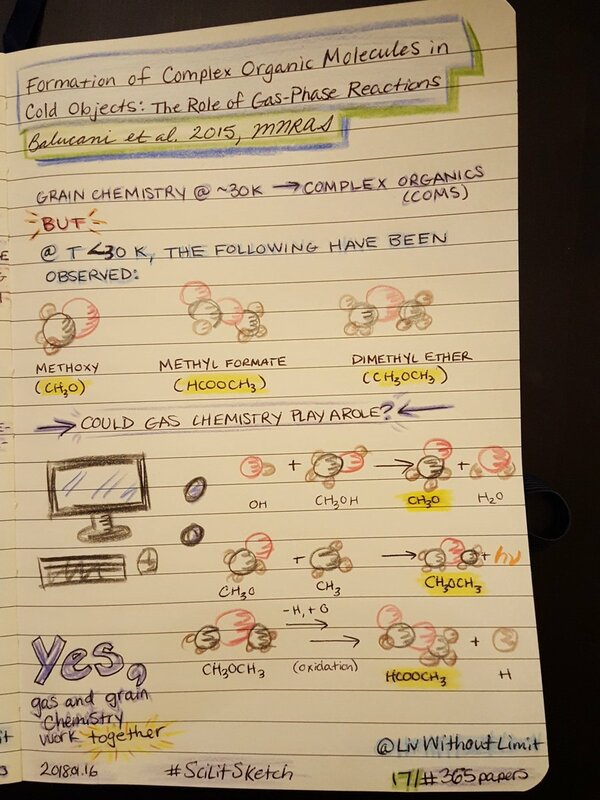 Another week of the #365papers challenge, and another seven #SciLitSketches. 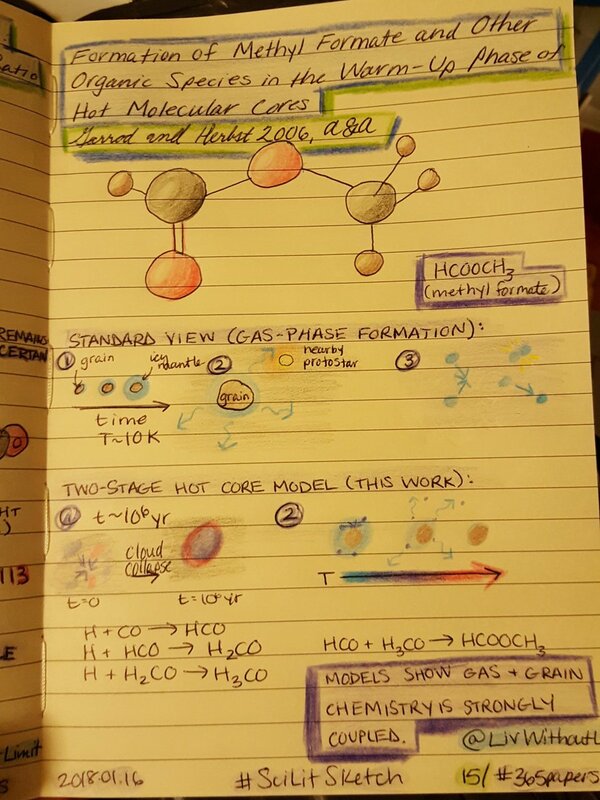 This past week, I read more about complex (6+ atoms) organic (containing carbon and at least one hydrogen) molecules in young stellar objects. For the most part, I read about models of formation on icy grains. Have any recommendations for what I should read about next? Comment below!